Why Does a Will Witness Need to Be Disinterested? When signing your will, it is likely that you have scheduled a consultation with an experienced estate planning attorney, sat down and discussed what you intend to pass on to others. You can make minor mistakes that could turn out to be big problems in the management of your will after you pass away, and one these includes using what is known as an interested witness. An interested witness is simply a person who has some level of standing to receive something under the current provisions of your will. 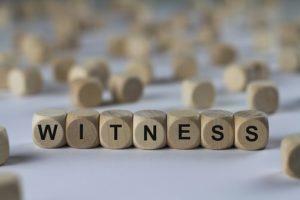 Bear in mind that having an interested witness be someone who witnesses your will does not necessarily mean that your entire will is rendered invalid. Instead, however, it can render certain portions and provisions of the will invalid. A disinterested individual is a far better choice to use as a witness to the will because this can decrease the chances that your loved ones will bring up a will dispute or conflict after the fact. A disinterested witness is a person who does not receive anything under the will. Make sure that you have considered using another witness to witness you signing the will and this should be someone who is not receiving anything from that will. It is just a bad idea to ask a person who has an interest in your will. Make sure that you speak directly with your estate planning attorney about what individuals should be included as witnesses and whether the current structure of your will is classified as valid under state law. This is one of the leading reasons to retain an experienced estate planning lawyer to begin with because you can dramatically decrease the chances of having disputes and problems in your case by using a party who has no standing or reason to benefit from current structure of your will. Decrease the chances that you may leave your loved ones spending money and time fighting to argue that your will is indeed valid or invalid. Talk to your estate planning lawyer for more information.